If you have never treated yourself to a pair of exotic skin shoes before, you'll need to give these casual driving shoes by Belvedere a try. 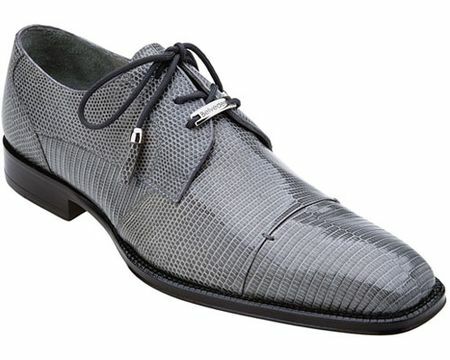 The Karmelo is a full teju lizard skin dress shoe that has richest lizard skin that you have ever seen. These come complete with a rich full leather lining and rubber lug sole ensuring that you got your feet coddled in some fantastic shoes.